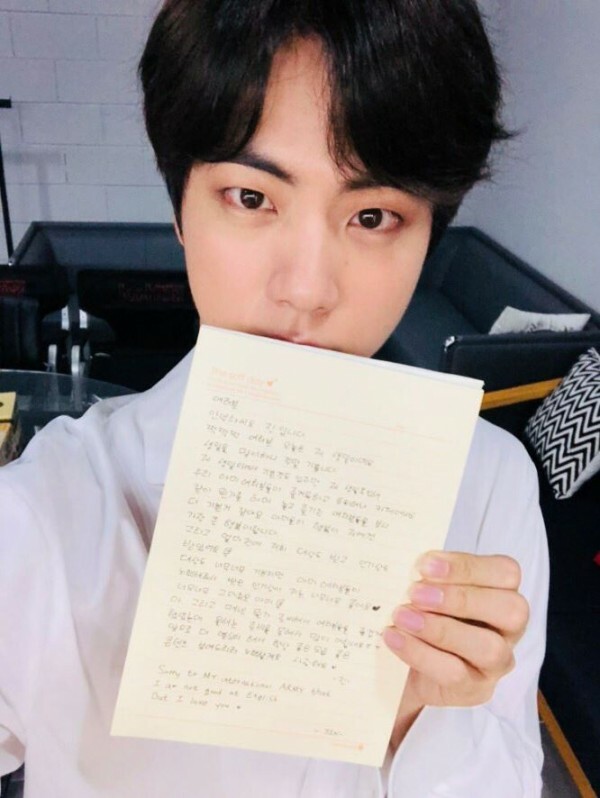 Dec 4 which is BTS JIN’s birthday, JIN posted a handwrite letter expressing his thanks to ARMY(BTS fandom name). “Everyone! Hello This is JIN! (Clap Clap Clap) Eveyone today is my birthday. I am so happy for my birthday. Though I am happy because of today is my birthday, I see that ARMY enjoy my birthday and do something together on Twitter or at café which makes me happier. For me, ARMY’s happiness is my greatest happiness. Also, we have received daesang and popularity award earlier. Of course we are so glad that we receive the daesang, but I am so happy to receive the popularity award thanks to ARMY’s effort. Thank you so much ARMY!